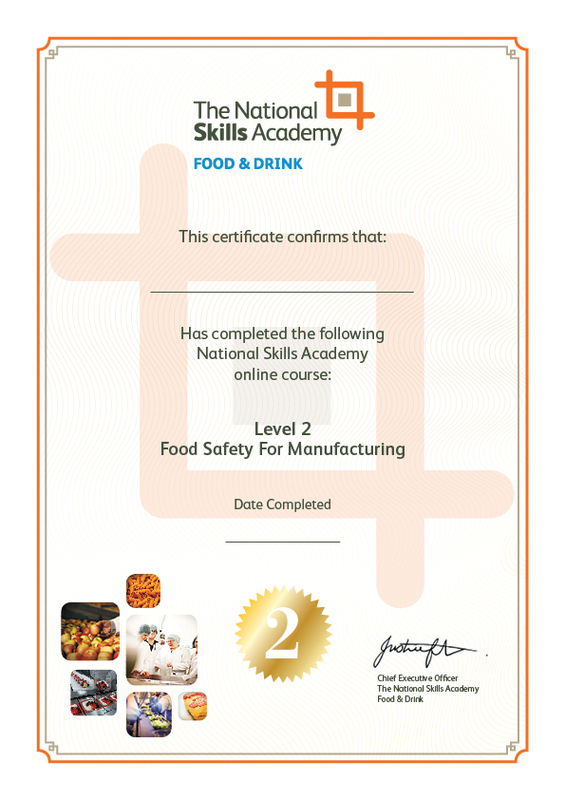 This interactive Level 2 course from the National Skills Academy for Food & Drink is aimed at anyone working in a food manufacturing or processing environment. This course provides the assurance that your Food Safety training meets environmental health expectations. For employers, this course will provide a cost effective, flexible and consistent way to train staff, helping to grow your business through improved standards. For individuals, the course will demonstrate that you have received appropriate training to a recognised industry standard. There are no formal entry requirements and you don't need any previous experience or qualifications in food safety to start learning. 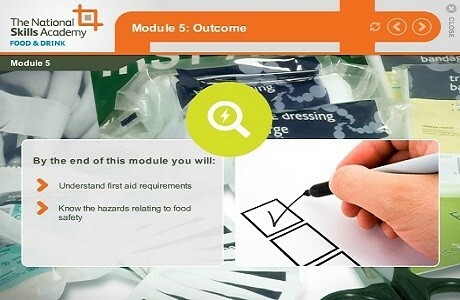 Provide evidence to inspectors of appropriate training in Food Safety within your manufacturing environment. The course is easy to navigate and features straightforward instructions to help you understand key information clearly and concisely. You can start the course straight away and access it at any time, providing you have access to a PC and an internet connection. You can navigate between the 10 short self-contained modules of learning. These don't have to be completed all at once or in any particular order which gives you the flexibility take a break between sessions! At the end of each module, there is an opportunity to test your knowledge. Completing this short quiz will help you to remember the key points and make it much easier to pass. There are interactive games and quizzes to make sure you have fun and you enjoy your studies. A final quiz is provided in Module 10 to ensure you are competent and confident in the main basic areas of Food Safety and Hygiene. The course takes approximately 2 hours to complete from start to finish, but you can save and return to the course so you can learn at your own pace. The course is available for six months from the date of purchase giving you plenty of time to complete your training and earn your certificate. Your certificate will be emailed to you when you have successfully completed the course. This recognised industry-standard training is specifically designed to meet food manufacturing compliance requirements. 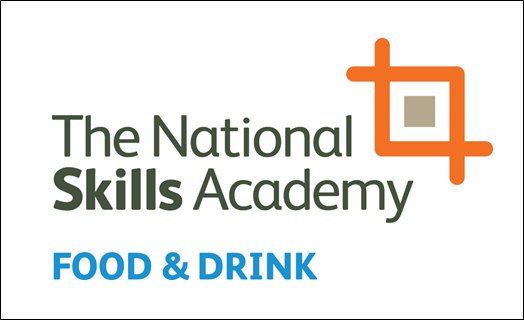 It is produced by the National Skills Academy for Food & Drink who are the Sector Skills Council for the UK’s Food & Drink Industry.